Location: Sainte-Enimie, in the Lozere departement of France (Languedoc-Roussillon Region). Notes: Château de Prades is a castle located at the entrance of the homonymous village, on Sainte-Enimie town in Lozère, France. Today, it is private property. 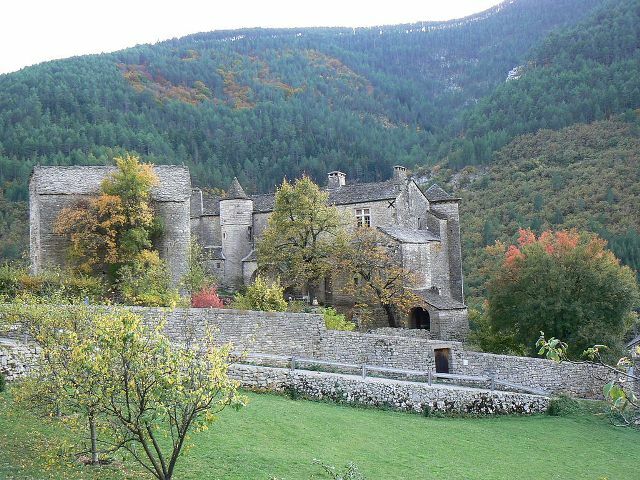 The castle is not open to visitors and is used by the owners as their home.The castle is located in the municipality of Sainte-Enimie, overlooking the Tarn gorges. Built in the twelfth century or thirteenth century, it is registered historic monument once in 1974, replaced by another decree inscreiption in 2009. It is now privately owned.